Signup for monthly news and offers. This page lists the history of our monthly newsletter. 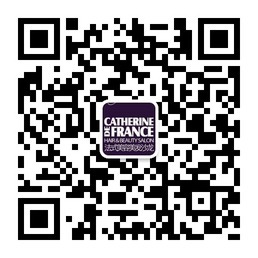 Each month Catherine de France offers new activities, events and promotions. You can see here what we’ve done so far. If you are interested in our newsletter please click here to subscribe. It’s free and you can unsubscribe at any times. Thanks you for following us! Having been awarded best expat salon 2014/ 2015, we are honored to have been nominated for the third year for the Lifestyle Expat Award 2016. Beijing is an international cosmopolitan city that offers an incredible variety of experiences and lifestyle choices to residents and visitors alike. Now in it’s second year, the That’s Beijing Lifestyle Awards aim to showcase the very best of what the city has to offer, by celebrating and giving recognition to those who have made their mark on the capital. Catherine de France has been selected again as one of Beijing’s best hair salons! Help us win the 2016 City Weekend Reader’s Chioce Awards by voting for us now. It’ll take no longer than 2 minutes of your time and thank you for your continual support. Keep it simple. When wearing any hair accessory (especially one with a bit of bling) keep the hair style simple. “Otherwise the look becomes too fussy,” we recommend pairing it with a basic bun or ponytail like Eva Mendes did at the premiere of The Other Guys. Catherine de France team wishes you a wonderful new year filled with abundance, joy and treasured moments. To celebrate our Clientele. We will invite you to come and collect your VIP card gift, anytime during December & January. Catherine de France open a new service, Hair extension. We use the real hair to give you natural long hair beauty. Comfortable and natural look.